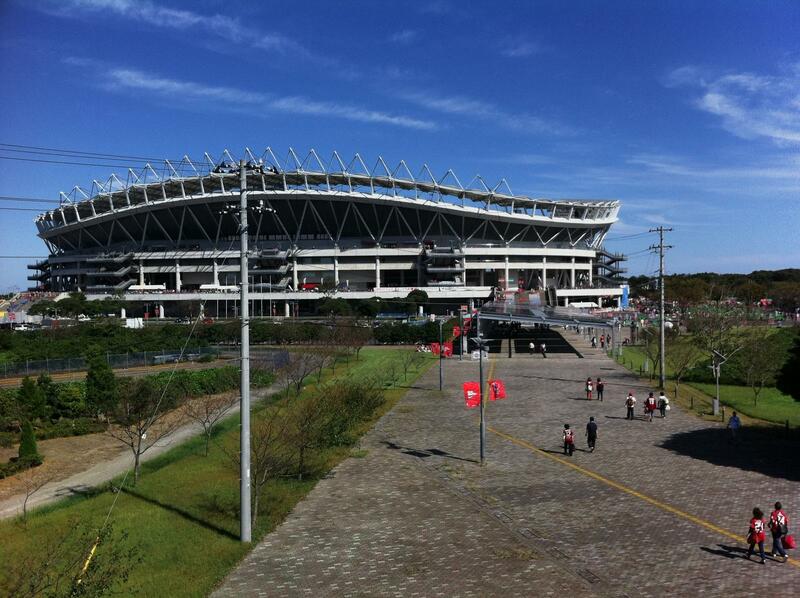 The stadium started operation back in 1993 after just a year-long construction period. 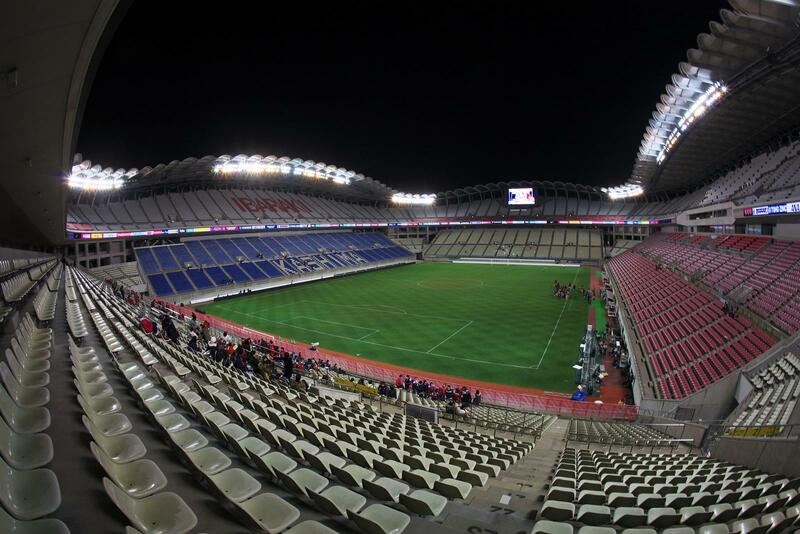 Football-specific, with stands behind each end/sideline, with no corner sections. 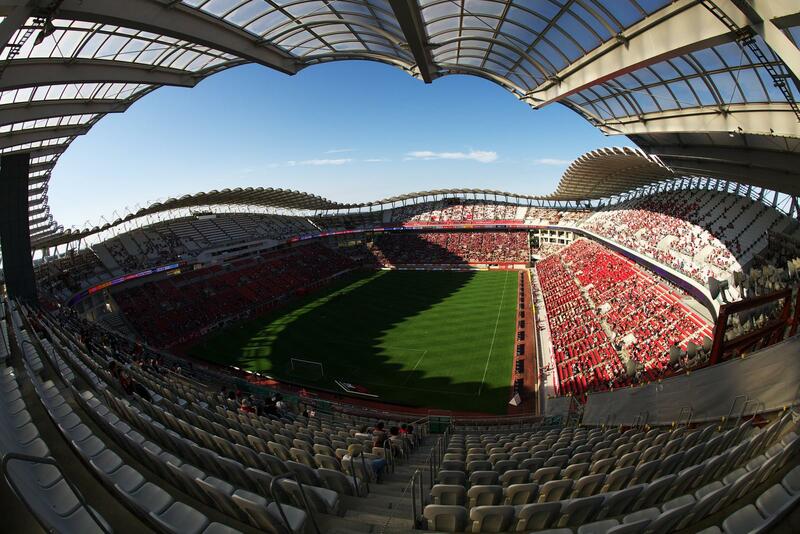 In such configuration it could hold up to 15,000 people, partially under cover. 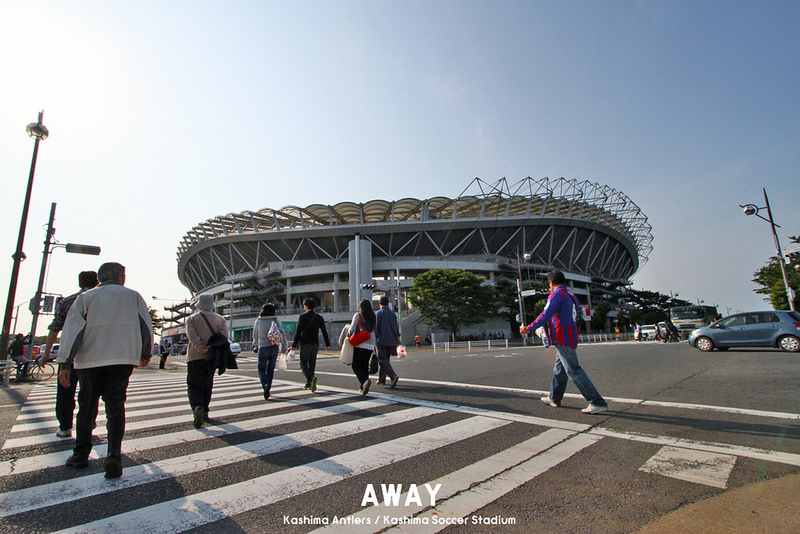 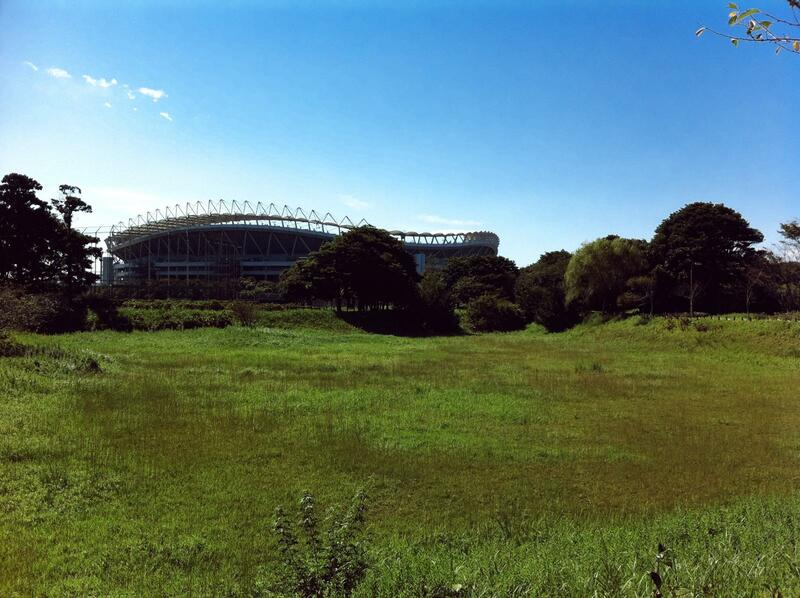 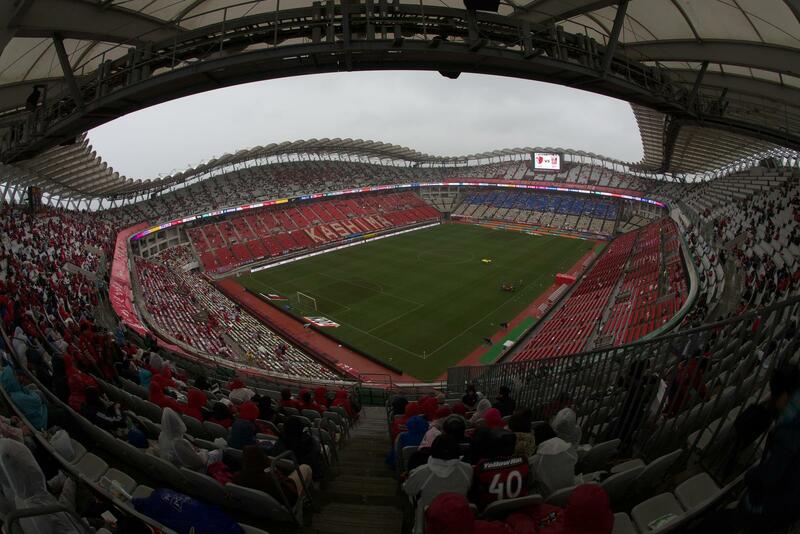 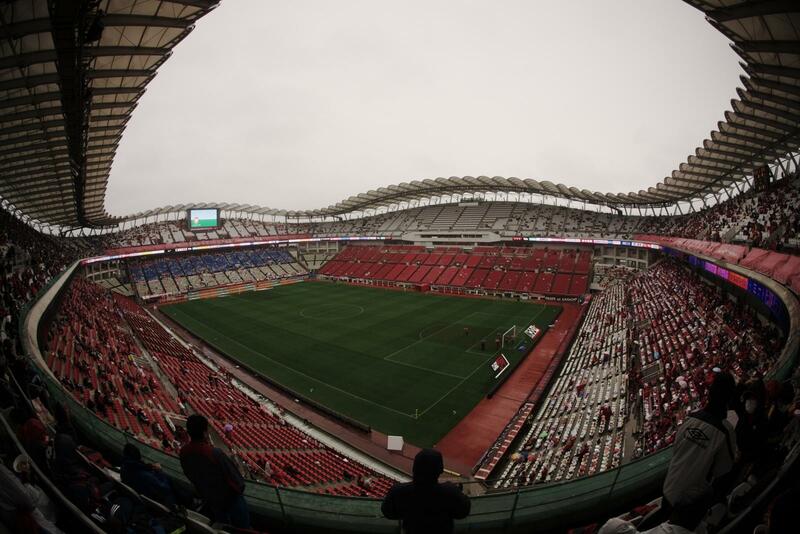 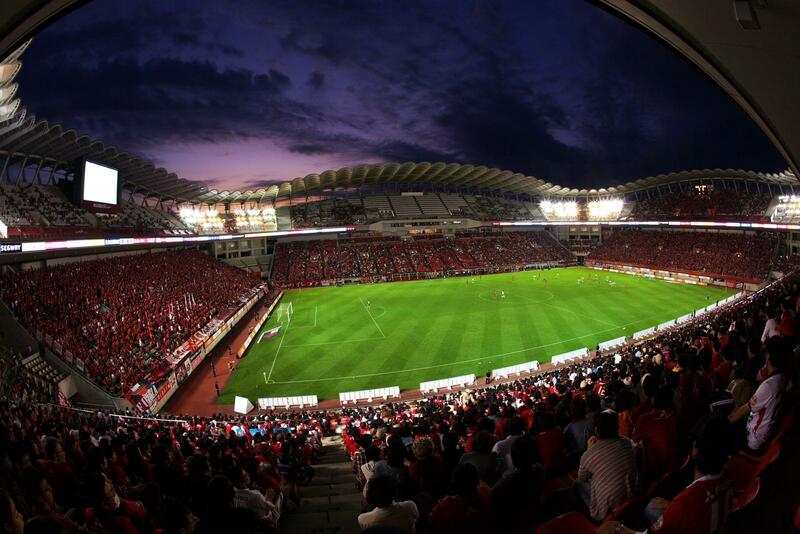 But this didn’t last long as Kashima was selected to host Asia’s first World Cup in 2002 and already in 1996 decision was made to expand the venue, with works starting in 1999. 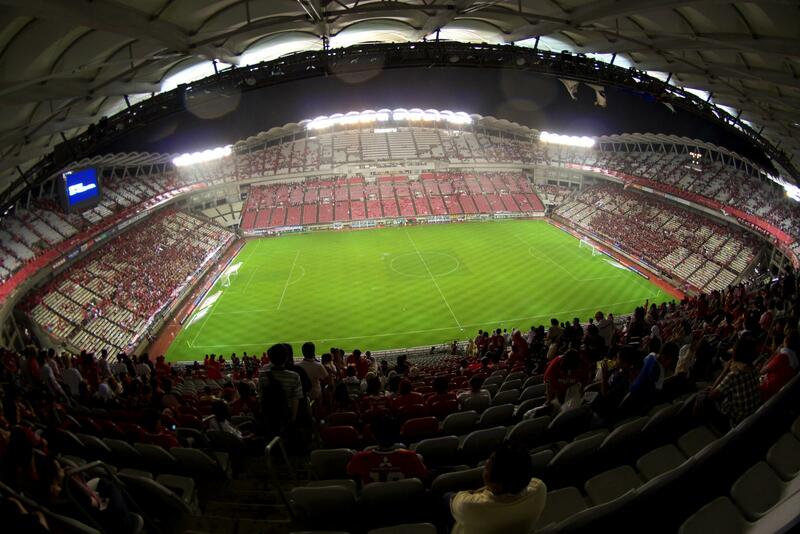 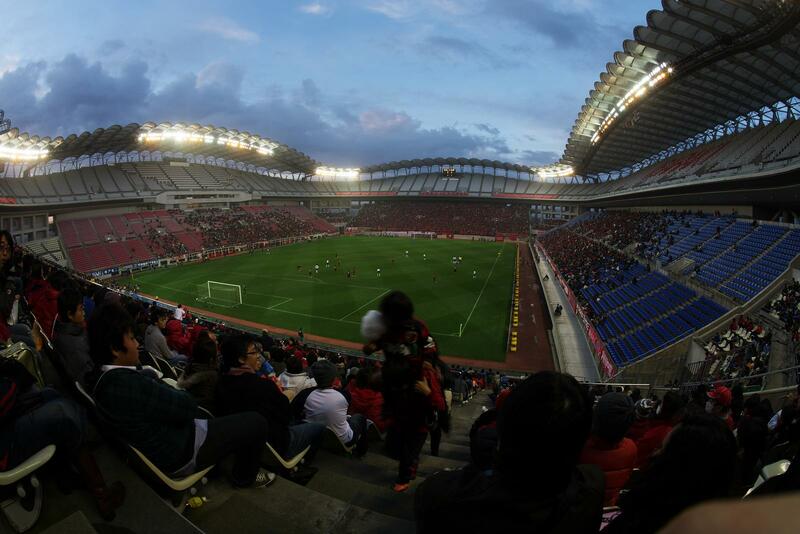 A second tier of seating was built atop existing stands, raising capacity above the FIFA minimum of 40,000. 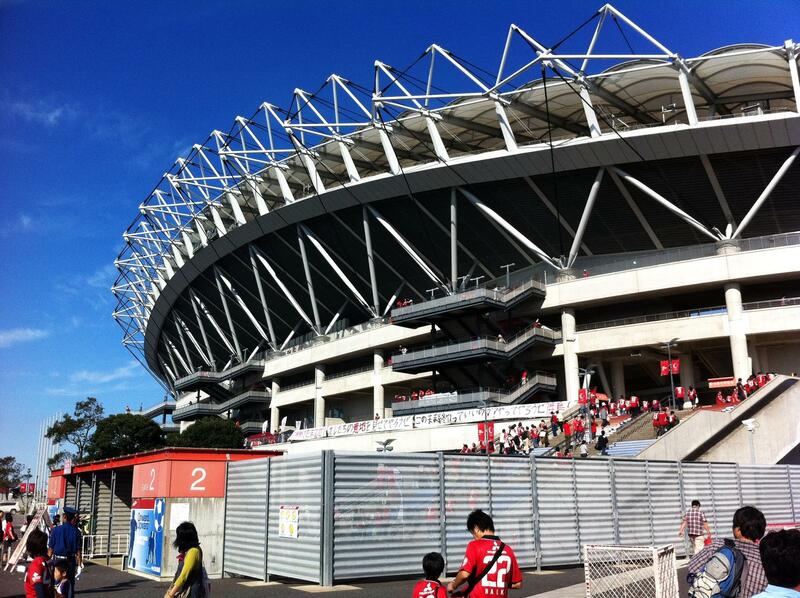 Interestingly, this time works lasted three years, mostly due to the stadium being in use. 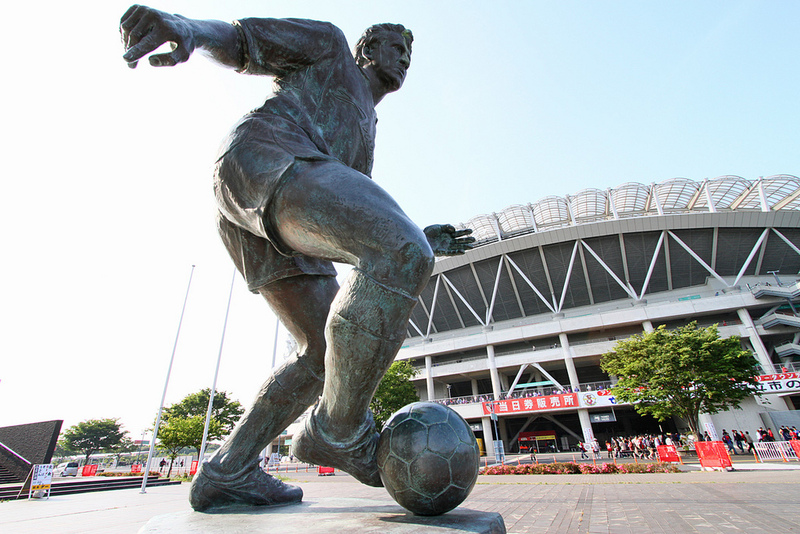 During the World Cup only three games were held here as there was a record number of host venues. 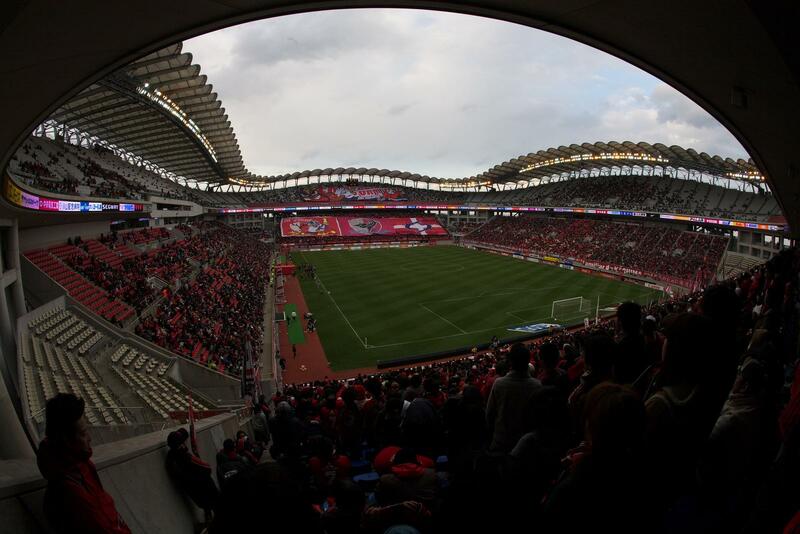 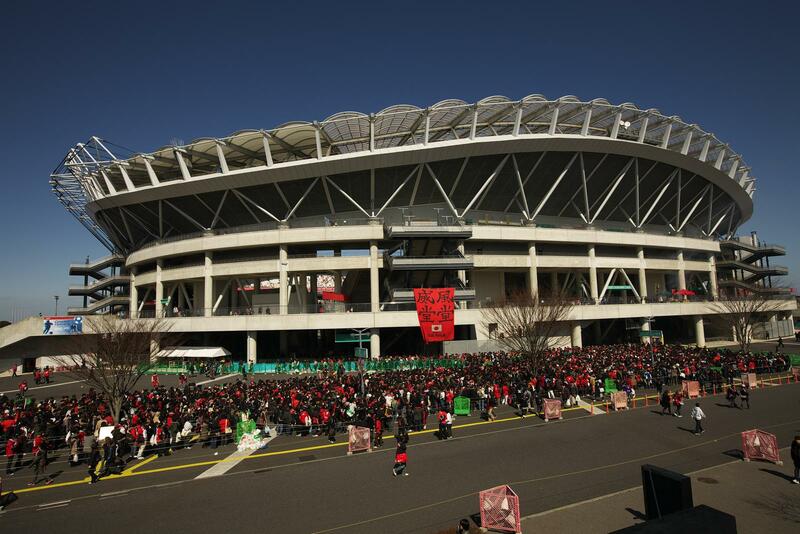 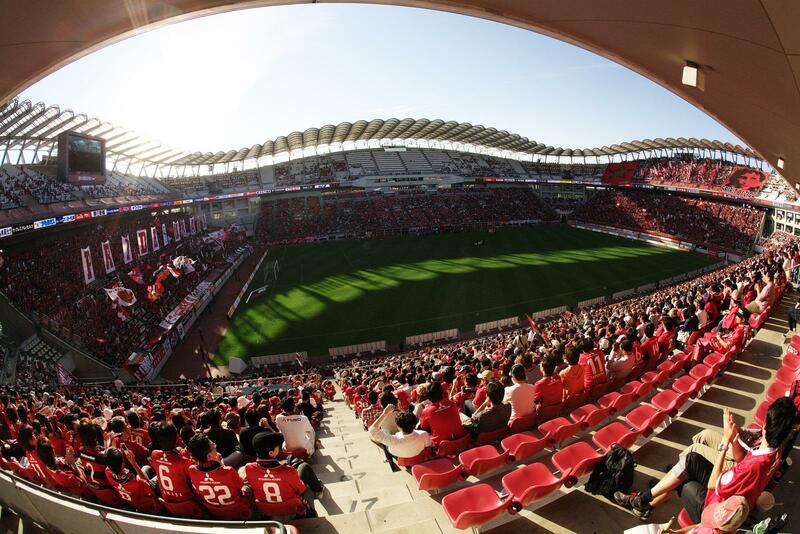 But after the tournament, football legacy proved a fruitful one with Kashima Antlers supporters being among most active ones in Japan and the club (managing the stadium since 2006) also hold other sports events here. 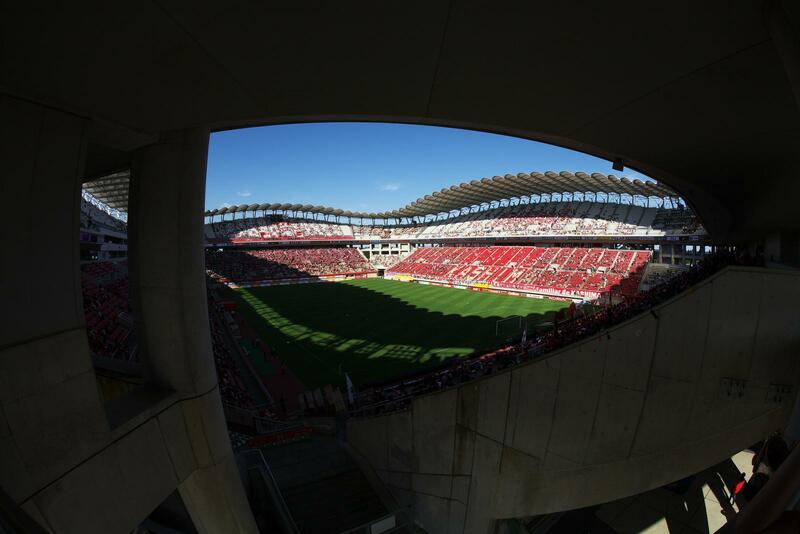 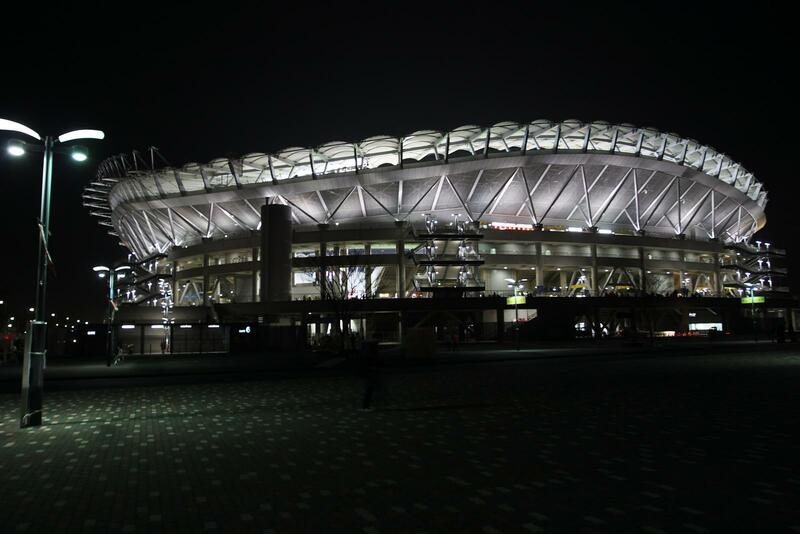 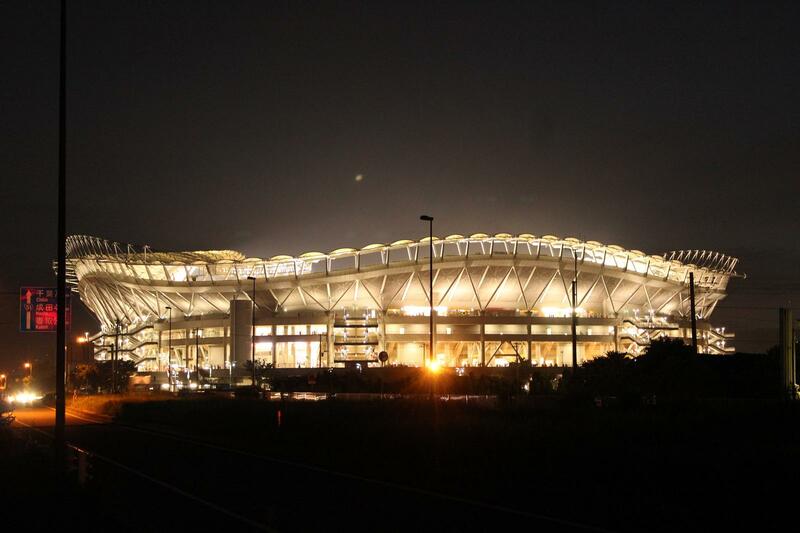 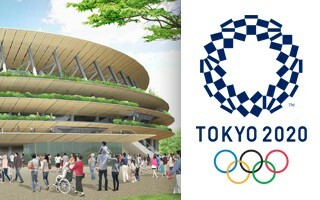 The stadium was significantly damaged after the 2011 tsunami with elements of the prefab structure being compromised and roof needing improvement. 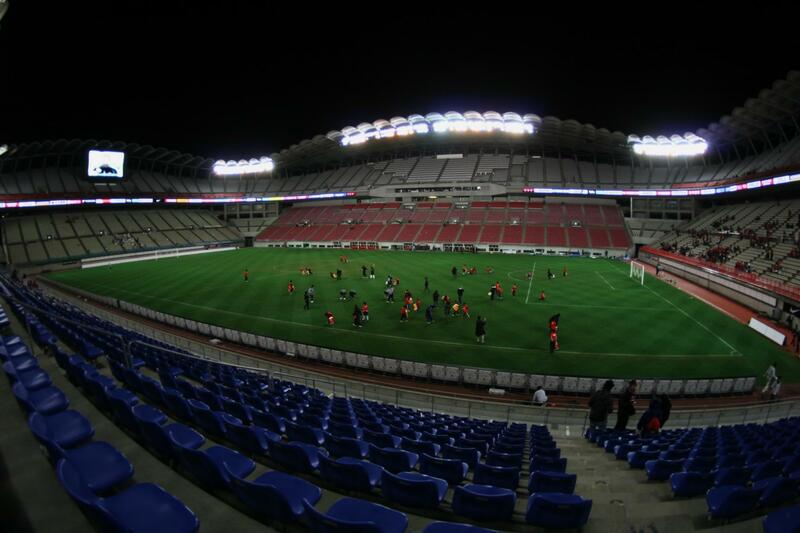 For a few months capacity had to be decreased after lighting and sound systems were taken down and relocated in corner sections of the stands, among seats.